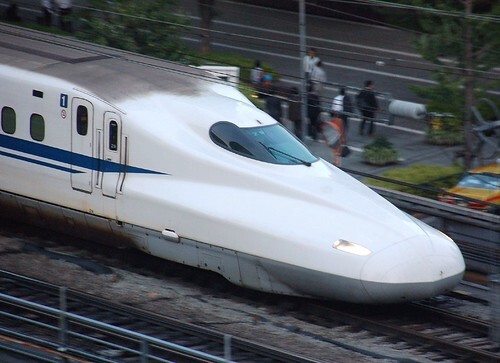 Now that all the Tokaido Shinkansen trains stop at Shinagawa, connections between Kyoto, Osaka, Hiroshima and Shibuya, Shinjuku, Ikebukuro have become much more convenient than before. 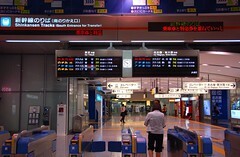 This time I'd show how to transfer from Shinkansen to Yamanote Line and Narita Express at Shinagawa Station. 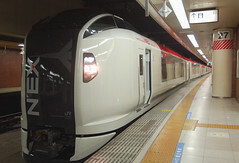 The Shinkansen train arrives on track #21 or 22. 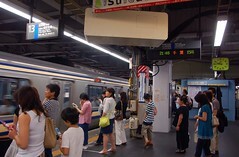 This photo was taken at another station. 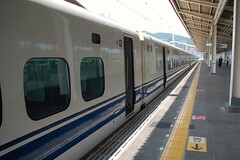 As soon as you exit the Shinkansen premises, turn on the right, and go straight on. 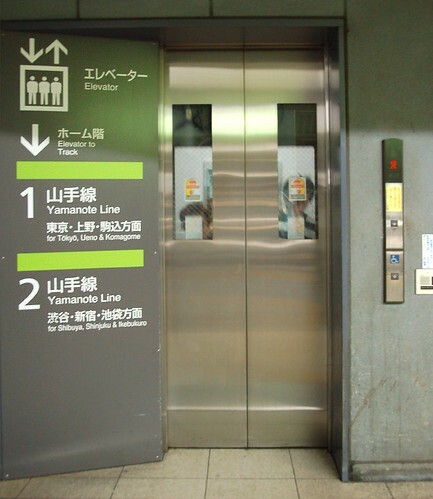 Those who catch the Yamanote Line, walk to the end of the hallway. 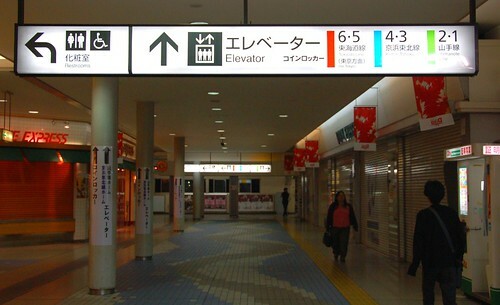 Those who head to Narita Airport by Narita Express, turn to the right as soon as you see this signpost, and go downstairs. 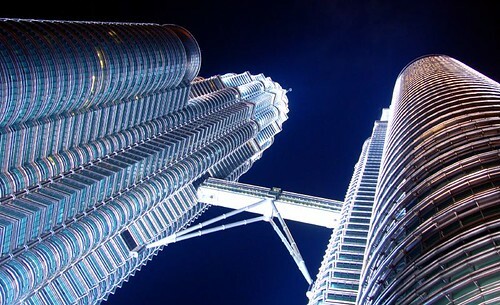 There is a lift on the right on this photo. 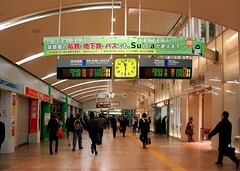 The Narita Express leaves from #13 except for the ones originating at this station. 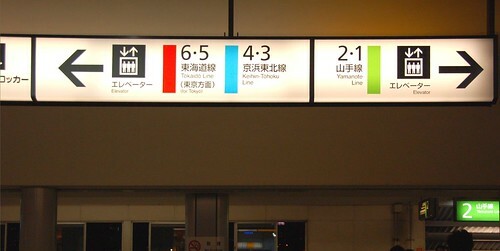 They leave from #14, the opposite side on the platform. 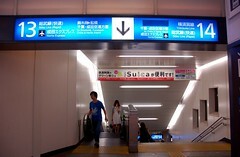 When you spot this signboard, go downstairs. 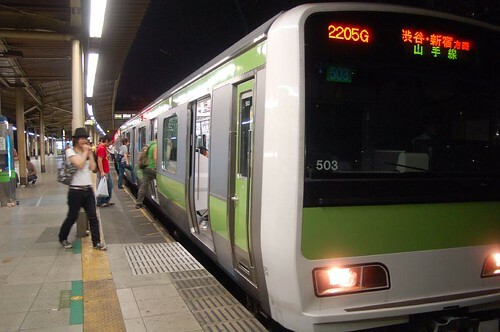 The Shibuya, Shinjuku bound train leaves from #2 and Shimbashi bound from #1. First turn to the left, and keep walking. Turn to the right at the corner. Then you'll find the lift on your right. A bit of a walk from the Shinkansen track. Then take the train to your destination.